In today’s day and age, a large part of our conversations happen through texting! 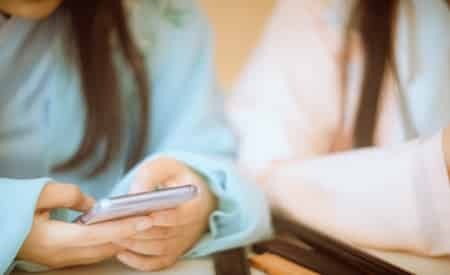 The same idea can of course be applied to your conversations with your ex, and when you’re hoping to get back together it’s crucial that you know the do’s and don’ts of texting an ex boyfriend! It can be a powerful tool, but it must be used with caution. This is why I wanted to write this article for you today. One of the things I am asked the most often about is how to text an ex when you’re hoping to restore the relationship that once existed between you. When you’re feeling heartbroken and vulnerable, it’s normal that you’d feel a bit nervous about texting your ex. In this article I’m going to go over the importance of timing and then how exactly to text an ex to spark his interest in you again! Let’s dive right in and find out how to text an ex boyfriend when your goal is to win his heart again! I wanted to start things off by going over something that is of upmost importance. Texting with your ex is a powerful tool, yes, but if it is used incorrectly it can definitely backfire! Should I text my ex at this point? Well, we need to take a look at the issue of timing. If you and your ex boyfriend have just broken up and you’re in the depths of heartache, you might be tempted to text your ex in an effort to ask him for forgiveness and make him understand that you still want to be with him. When the breakup is fresh, you’re in a vulnerable period and this is when I see people making mistakes the most often. Just yesterday I was working with Chloe, who had emailed me explaining that her ex boyfriend had broken up with her and she had sent him text after text to try and make him change his mind, but had no luck. She wanted to know how to text an ex so that she could get him back immediately and I told her what I’m going to tell you right now. Texting your ex boyfriend is not about figuring out the right thing to say to make him think, “Wait, I need to be with her again right now!” Texting with an ex becomes a powerful tool when it is used to gradually reinstall the complicity that once existed between you, while leading into flirtation and allowing your ex to get a window into your new and improved life. I’ll get into all of that in a moment, but we need to understand that texting an ex and begging and pleading to be taken back is actually one of the worst things you could do. After a breakup, tensions are running high and people need time. And that means YOU need time, too. Chances are you’ve already apologized for anything that warrants an apology, so the very first step of getting an ex back is to put some space between you. At this phase, when the painful emotions that accompany a breakup are still fresh, you need to take a step back in order to make a stronger comeback. It’s hard and it’s scary, but after coaching thousands of clients, I can tell you that this is the method that works. If you’re feeling fragile right now, it is best to avoid texting your ex boyfriend. Even if you’re thinking, “My ex boyfriend keeps texting me,” the best plan of action is to put space between you. In fact, on the of the most powerful techniques used for getting an ex back is the no contact rule, and it works by cutting communication with your ex partner for a predetermined period of time. The goal of this tool is to give him an electroshock while giving yourself time to heal and bounce back. By cutting communication, your ex realizes that you are no longer at his beck and call and he’s going to begin to crave your attention. Think about it this way, let’s say we have a smoker who is used to smoking 20 cigarettes a day. If we cut their supply from 20 cigarettes to 15 a day, then to 10 a day, and then eventually to 5 a day, they’re going to have a much easier time letting go of it. Now if we take that same smoker and cut off their entire supply from one day to the next without any way to replenish it, they’re going to feel a shock and be practically begging for a cigarette. The same concept can be applied to you and your ex. If you’re messaging him and reassuring that you’re available to him, he isn’t going to feel any incentive to make an effort to get closer to you. He can be fully at ease knowing that you’re around if and when he feels like engaging with you. But if you go radio silent and he cannot reach you or get your attention, he’s going to be practically foaming at the mouth for your attention. It’s simple human nature. We take the things that are readily available to us for granted. So if you’re having trouble not texting your ex boyfriend, I encourage you to get much busier in your life. Start filling up your schedule with things that bring you joy, pick up old hobbies and passions that got placed on the back burner while you were in this relationship, and start thinking about how you can improve your life. incidentally, this is one of the keys for succeeding in the No Contact technique. If you’re unfamiliar with this tool I highly recommend clicking the link and reading in depth information on how to use it to your advantage! In addition to becoming busier, you can make a pact with your best friend or someone that you trust to text them whenever you feel the urge to text your ex. Now that we’ve gone over the things to be careful about, let’s take a look at how to get back in contact with an ex and how to have a conversation with him over text! As I was saying in the beginning, I don’t want you to think that sending a text or receiving a text from your ex is magically going to make your ex fall back in love with you and restore you relationship. This article is not not about how to get your ex back fast by text message because unfortunately it doesn’t work like that. Texting with your ex boyfriend or husband is going to be a tool for bringing you closer so that you can start talking to each other of the phone and seeing each other face to face, and that’s where the real magic happens! Texting an ex should be regarded as a step towards getting back together; not the magic solution that will allow you to stick a bunch of steps and get to your end goal at the drop of a hat. And now that we’ve got the preachy stuff out of the way, let’s look at how exactly to text this man so that you can start moving closer to your goal of being together again! When the foundations are in place, here’s what to do! If you are unfamiliar with our philosophy and you aren’t sure about what groundwork needs to be laid in order to make sure you’re properly prepared for getting your ex back, please don’t hesitate to get in touch with us so that we can take the details of your specific situation and help you design a custom action plan, or read our articles on how to get an ex back by clicking right here. Now, if you’re confident that you’ve laid a proper foundation and you’re ready to start texting your ex, let’s take a look at some rules. 1. Keep the emojis under control! I know it’s normal to add emojis to your texts but one of the things I find myself having to remind my clients the most often is to avoid sending text messages that look more like hieroglyphs or picture books! Yes, you’re excited and this is fun, but you don’t want to seem overeager to your ex, especially in the very beginning. There are other ways to make sure that your text messages come alive. I actually suggest you avoid emojis altogether because they can make you look needy very quickly. Sure, you can add one in there from time to time, but make sure that the majority of your messages consist of actual words! Another thing that we remind our clients is that it’s crucial to use these texting conversations to show your ex that you’ve been able to change, instead of showing them that you haven’t been able to change. It’s going to be important for your ex to understand that your world does not revolve around him. This means that you get a text from your ex and you’re in the middle of something, don’t drop everything just to reply to him. Keep doing what you’re doing, living your life, and then when you have some time you can respond to him. What’s more, if you rush to reply you risk saying the wrong thing. Just take your time, read what they’re sending you, think about what you’re going to say and steer clear of rushing. Keep in mind that these are texts and not emails. They shouldn’t go on and on. Again, it can make you look very needy or overeager to talk to your ex. Just remember that less is more! If you’re able to keep your message succinct and get what you want to say across, that’s perfect. The shorter you keep things, the better. It actually can really increase the odds of you getting a response because it’s maintaining your sense of value. Keep in mind that when you’re texting with an ex, it should never look like you’re chasing them. It’s not your responsibility to keep conversations going. So if you find yourself constantly needing to ask more questions to stretch out the conversation, it’s going to put you in a position of lesser power. It should be a give and take. Again, texts are not going to get you two back together; sending texts to your ex is just a way to reposition yourself to make them laugh and want to talk to you more so that with time, you two end up meeting face to face. By the way, if you’re looking for attention grabbing or funny things to text your ex to make them laugh I highly recommend checking out our masterclass on how to text your ex! Should I text him back after he ignored me? As this article comes to an end, I wanted to take a moment to go over something very important. It happens to be something that I come across very often in my coaching sessions and people ask me how to handle it. Sometimes, people don’t get a response so they’ll ask me, “Should I text him again? Can you think of funny things to say when someone doesn’t text back?” This is important… If you don’t get a response, do NOT send another text message to your ex! Trust me, these are not going to make your ex want to text you. The more you do this, the more you’re going to be showing your ex that he is in a position of power over you. There is a power play between you and you need to make sure that you’re not putting yourself in a position where it’s easy for your ex to take you for granted. Instead of texting again when you don’t get a response, just put down your phone and go do something else. Hang out with a friend, hit the gym, or start working on one of your personal projects. If you can avoid reaching out again, it helps you to feel like you’re in control and that you’re remaining true to yourself, and it’s also showing your ex that they don’t have power over you. If they don’t text you back, your world does not crumble and you’re not pining for their attention! So when someone doesn’t reply to your text, sometimes the best thing to do is press pause and switch your focus back onto yourself. If you don’t stop digging, you risk making things worse so you’ve got to focus on what you’re actually in complete control of: your life and your actions. So if you’re texting your ex hoping to get him back in your arms, getting back in contact is one of the most important steps, yes. You’ve just got make sure you do it right. Not only is it important for getting him or her back, it’s also very important for restoring the complicity that used to exist between you. When it comes to knowing exactly how to text your ex boyfriend, think about one specific goal: surprising him so that he realizes that you ARE concretely capable of change and that you have actually done it. You’ve been able to pinpoint what went wrong in the relationship, you’ve been able to come up with long term solutions, and you’re making the effort to make things right. Again, for more information on building a solid foundation for getting your ex boyfriend back, I encourage you to check out this article. You have to realize that he won’t be likely to take you back if you propose the same exact relationship that you had before. Why? Well, simply because you both already know exactly how that end and he won’t want to just relive the same pain and heartbreak a second time. You’re going to need to propose something entirely new and fresh to him! At the beginning, when you’re thinking of texts to send your ex boyfriend, you’re going to have to make sure you don’t reveal your intentions to him. Don’t even think about sending an “I want you back” text right off the bat. This is way too strong of a statement to make out of the blue and your ex boyfriend will end up feeling way too much pressure. This is the type of thing that can make a person pull even further away. Instinctually, I understand that you want to be fully transparent and honest, and tell your ex everything you’re willing to do to win his trust and make things right again. Unfortunately, by doing this, you’re going to have two negative reactions. 2. You’re also getting rid of the element of surprise and your efforts will have much less impact. So don’t hesitate to get in touch with us by leaving your question in the comments section below or by reaching out for one on one coaching, and it would be our pleasure to help guide you from A to Z!